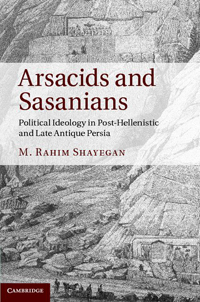 An issue that is the cause of much disagreement in the debate on the political ideology of the Arsacids and Sasanians is the extent to which the contents and elements of the Achaemenids' political ideology was adopted by their successors. Finding an answer to this question is of great significance for determining the foreign policy aims of these two dynasties with respect to Rome. What makes an unambiguous response to this question more difficult, however, is the nature of sources. Since they were all written by Roman authors, according to some scholars we should err on the side of caution in interpreting them - particularly because the sources present the Roman rather than the Iranian point of view. An attempt to settle this dispute has been made by M. Rahim Shayegan. In his book, Shayegan attempts to define the contents of the Sasanians' political ideology in the initial period of the existence of their state that were important for describing the nature of Roman-Persian relations in the 3rd century CE, but also that of earlier, Roman-Parthian ones. A further important goal of his research is to identify those factors which may have influenced the shape of the Sasanians' political ideology (cf. p. xii). The research aims set out by the author may appear to be somewhat limited, but this is an impression gained only from the first paragraph of the introduction. In fact the list of issues which he sets out to analyse is a very long one (p. xii-xiv). It is important to note, though, that a central place among the many topics is taken by the question of transmissions of historical tradition concerning the Achaemenids at the time of the Arsacids and Sasanians. The first two chapters of the book (1. Sasanian epigraphy, 5-29; 2. 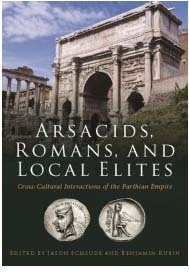 Classical sources: Dio, Herodian, Ammianus Marcellinus, 30-38) are devoted to an assessment of the credibility of the content of Persian and Roman sources on the political programme of the first Sasanians in the context of the hypothesis that, immediately upon assuming power, they propagated the slogan of rebirth of the Achaemenid empire. An analysis of the content of Res Gestae Divi Saporis and other early Sasanian inscriptions leaves no doubt that in none of them did they refer to the Achaemenid traditions (13, 20-22, 29). It is only Roman authors who point to such references. Shayegan sees the causes of this position as lying in the great popularity in the Roman Empire of the 3rd century CE of Alexander the Great, whom some Roman emperors endeavoured to emulate (imitatio Alexandri). According to him, beginning in the time of Augustus, Roman propaganda led to the Arsacids being associated with the Achaemenids (334-340), and subsequently to a conscious falsification of the new opponent whom the Romans came up against in the East after the fall of the Arsacid state, since it was easier to perceive them in the same way as the earlier dynasty exercising control over Iran. An extensive discussion of this subject features in Chapter Four (Imitatio veternae Helladis and imitatio Alexandri in Rome, 332-368). No fault can be found with the arguments presented and interpretations proposed for this problem. The author convincingly proves the correctness of the view that there are no reasons to treat the Sasanians' political ideology as a continuation of the tradition of the Achaemenids (369-371). This conclusion, arising on the basis of extensive arguments, appears to be well documented and difficult to contend. However, the thesis which the author is attempting to prove is by no means as reliable as it may seem. The claim that it was mostly the activity of Babylonian writers that contributed to the Arsacid preservation of the memory of the Achaemenids is not persuasive. The author himself demonstrates that the titles of the rulers used by them in documents were often different from the official ones, which by no means signifies that this fact was evidence of conscious historical policy, but rather of bureaucratic habits. This interpretation is further supported by the fact that the majority of cuneiform documents dating from the time of the Arsacids in Babylonia are not of a public nature. Astronomical diaries - for it is this type of documents (as well as legends on coins) that contain the main examples of the preserved titles of the Parthian rulers - were documents of internal use. The records contained in them of historical events (thanks to which we know so much today about the Parthian rule in Mesopotamia in the period between 141 and the 60s BCE), are of a private nature, and it is hard to perceive them as an expression of the political involvement of their authors. I am also unconvinced by the argument that attributes to Mithradates VI a major role in the process of the transmission of the Achaemenids' traditions, as this would lead to the conclusion that before him the Arsacids clearly did not value them. In only beginning the discussion about the presence of this tradition in the consciousness of the Parthians from the times of Mithradates II, the author ignores the huge role played by Mithradates I in forming the Parthian political ideology. I have no doubt that this was considerably greater than the influence of the propaganda of the king of Pontus. As a result of the author's failure to take into account the entire period preceding the rule of Mithradates II, during which important aspects of the Parthian political ideology were formulated, the value of his interpretations and conclusions is lessened. Cf. E. Kettenhofen: Die Einforderung des Achämenidenerbes durch Ardašīr: Eine interpretatio Romana, Orientalia Lovaniensia Periodica 15, 1984, 177-190; id., Die Einforderung der achaimenidischen Territorien durch die Sāsāniden: Eine Bilanz, in: S. Kurz (ed. ): Yādnāme-ye Irdaj Khalifeh-Soltani: Festschrift Iradj Khalifeh-Soltani zum 65. Geburtstag, Aachen 2002, 49-75. The first scholars to express this view were J. Neusner (Parthian Political Ideology, Iranica Antiqua 3, 1963, 40-59) and J. Wolski (Les Achémenides et les Arsacides. Contribution à l'histoire de la formation des traditions iraniennes, Syria 43, 1966, 65-89). It is worth quoting this conclusion in full: "We may conclude that the Achaemenid reminiscences we observe under the early Arsacids are not to be attributed to the perseverance and longevity of Iranian traditions that were resuscitated in an act of self-consciousness, as a means to define the Arsacid dominion in light of a newly Re-discovered 'Iranism', but to the adoption by the Arsacids of memories that cultures expose to the Iranian civilization had preserved from their own (Iranian) past. Indeed, the Achaemenid reference recorded by Tacitus is due to the invariability alleged continuity of Iranian history, but is due to the constancy of the Babylonian literary tradition, which, by preserving and conferring upon the Arsacids the Achaemenid title 'king of kings' provided the form, and to the strength and permanence of the Iranian element in the Pontic kingdom, which by safeguarding the memory of its Achaemenid heritage furnished the substance of what was to become the Arsacid political ideology" (331). Many of the issues discussed are referred to by a number of studies published in: E. Dąbrowa (ed. ): Greek and Hellenistic Studies (Electrum, vol. 11), Kraków 2006; id. : Orbis Parthicus. Studies in Memory of Professor Józef Wolski (Electrum, vol. 15), Kraków 2009.